Borneo is a wild mosaic of steaming tropical rainforests, rustic jungle villages, mystical cave temples, wild rivers and untouched islands surrounded by turquoise waters. With over 18 million residents, Borneo is the third-largest island in the world. Attractions include Tanjung Puting National Park in Kalimantan, Lok Baintan Floating Market in Banjarmasin and Sarawak Cultural Village in Kuching. 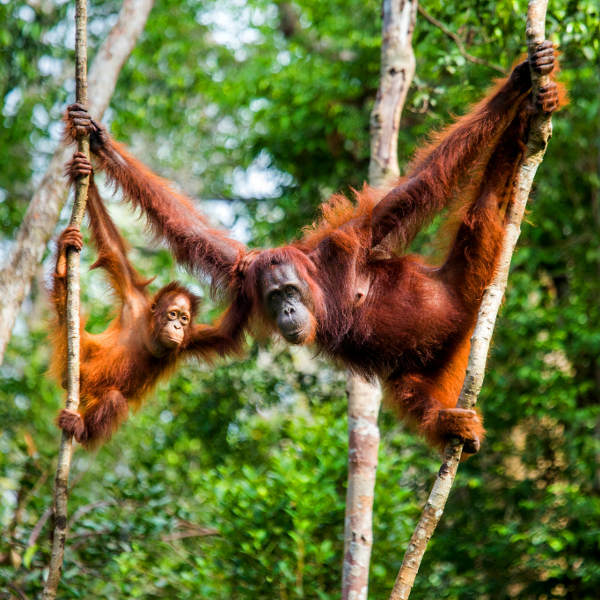 Get ready to surrender to the call of the wild with cheap flights to Borneo. The hub airports of Borneo are Kota Kinabalu International Airport (BKI) and Kuching International Airport (KCH). Venture off the main island and you will find tiny, untamed islands that offer sensational rest and relaxation, diving, snorkelling and turtle encounters. Lankayan, Sipadan, Derawan and Selingan are iconic. Borneo is one of the only places on earth where elephants, rhinos, tigers and orangutans live together. The Bornean orangutans, flying fox bats and pygmy elephants will steal your heart. Bornean cuisine is a unique array of dishes that fuse the flavours of Asia with obscure tribal traditions. 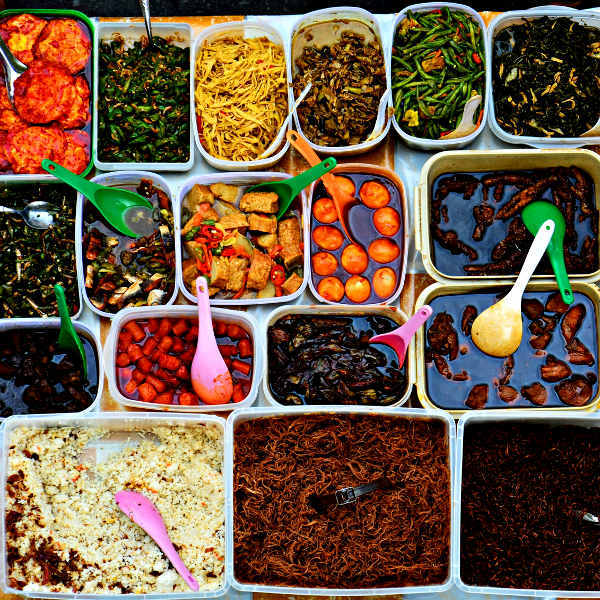 Be sure to try sarawak laksa, manok lulun, stir-fried jungle fern and fried sago worms. Borneo experiences a tropical climate. Rainfall patterns can be unpredictable, but the most rainfall generally occurs between November and March. 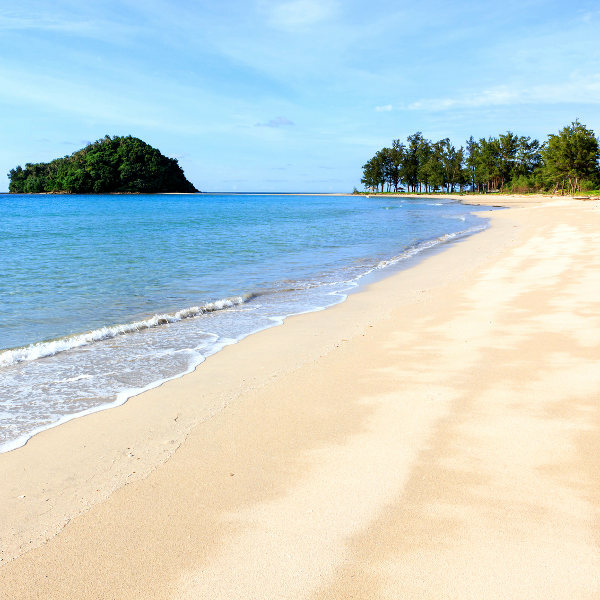 The best time to visit Borneo is during the ‘dry season’, which spans March to October. March to May is the best time to visit if you want to swim with whale sharks; February to April offers the best conditions for climbing Mount Kinabalu; April to July is the best time for jungle trekking and orangutan encounters; turtle season begins in June and culminates in August as baby turtles hatch and make their way towards the ocean; and October is the prime time for diving in Sipadan. Notable events include the Harvest Festival, Chinese New Year, Rainforest Music Festival, Borneo Cultural Festival, Borneo Arts Festival and Borneo International Kite Festival. For cheap flights to Borneo, the best time to visit would be during the rainy season. Borneo is as wild as it gets. The wild landscapes of Borneo offer a sanctuary for creatures such as the clouded leopard and sun bear, the endangered Sumatran tiger and rhino, rare monster flowers, and some of the most remarkable indigenous tribes in the world. Some of the most magnificent landscapes include Gunung Mulu National Park and the Maliau Basin. Bamboo rafting in Loksado gives you a chance to get up close to the Bornean wilderness. The Sepilok Orangutan Rehabilitation Centre, Bornean Sun Bear Conservation Centre and Proboscis Monkey Sanctuary offer unforgettable encounters with some of the fascinating creatures of Borneo. Explore shipwrecks and swim beside whale sharks around Lankayan or glide beside turtles and reef sharks around Sipadan Island. Gaya Island and Mabul Island also offer sensational diving. Shared by Malaysia, Indonesia, Brunei, the island is a rich tapestry of cultures. Head to Kuching for a taste of cosmopolitan Borneo, spend a night with an Iban family in a traditional longhouse in Sarawak or try local delicacies at Tamu Market in Kota Belud. Compare several airlines and book your cheap flights to Borneo online at Travelstart! Although Borneo is considered a safe travel destination, you should exercise the usual precautions and use common sense as you would in any other unfamiliar country. It is recommended that you follow the media for updates on the security situation throughout your trip and obtain travel insurance to cover theft and medical expenses. Piracy has been an issue along the east coast of Sabah in recent years. You should remain extra vigilant when travelling around this part of Borneo and monitor the media for security updates. Only make use of licensed and reputable transport companies when travelling around the island. Avoid venturing into isolated and poorly-lit areas at night (particularly if you are alone) and avoid flashy displays of wealth. You should familiarise yourself with the local laws and customs before arriving. Proof of yellow fever vaccination is required if you are travelling from an infected country. Borneo is at risk for malaria, dengue fever, Zika virus and other insect-borne diseases, so precautions should be taken to avoid mosquito and insect bites. Immunisations against Japanese encephalitis, hepatitis A & B, cholera, typhoid and rabies are recommended. Recommended routine vaccinations include MMR, diphtheria-tetanus-pertussis, meningitis, varicella, polio and influenza. Stick to bottled water.